This web site is dedicated to the memory of Leonard Co, whose knowledge of the Philippine Flora was unexcelled. In 1972, Leonard enrolled at UP Diliman first as a freshman major in Chemical Engineering because his father believed that there was no money in Botany. He only learned that his son shifted to Botany after a year when he received Leonard's class cards. As a Botany student, he was one of the founders of the UP Botanical Society which published a 'Manual on some Philippine medicinal plants' in 1977. This publication was an account of the medicinal uses of selected plants taken from Chinese literature on traditional medicines, which Leonard translated into English. 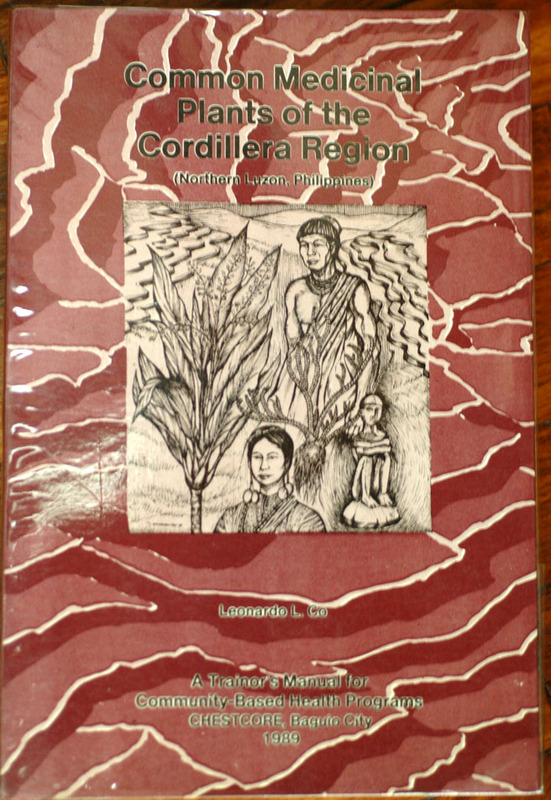 Between 1976 and 1981, Leonard worked as a student assistant for Dr. Prescillano M. Zamora on the project “Inventory of Endangered, Rare, Vanishing, and Economically Important Species of Philippine Flora and Fauna.” This culminated in Endemic Ferns, Economic Ferns, Gymnosperms, a chapter In the Guide to Philippine Flora and Fauna, vol. II. Endemic Ferns (Zamora and Co 1986). While most of his classmates at UP reaped the fruits of their academic labor by getting their BS degree in a timely manner and moving on to find a job, Leonard left the campus of the University of the Philippines-Diliman in 1981 without obtaining a college diploma. Together with his friends who shared the same political views, he immersed himself in the hinterland tribes of northern Luzon to best serve those left behind in Marcos’ political agenda. He was their medical doctor, acupuncturist, and botanist. 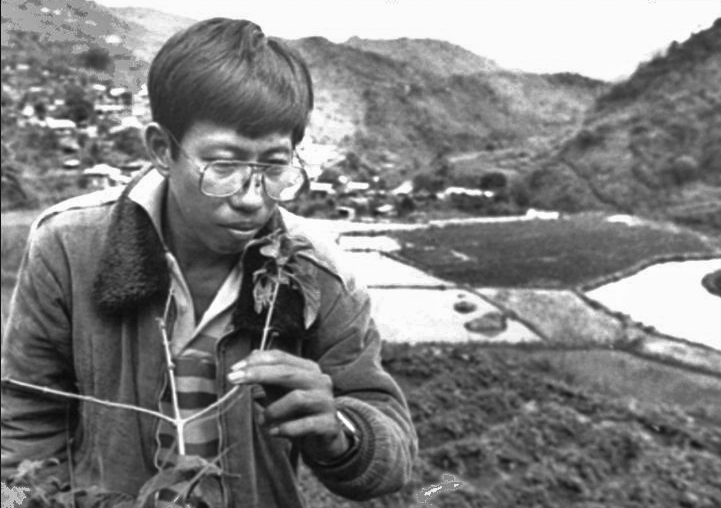 It was also during this year when he and his friends founded the Baguio City-based NGO: the Community Health, Education, Services and Training in the Cordillera Region (Chestcore) which sponsored the publication of his book on 'Common medicinal plants of the Cordillera Region (Northern Luzon, Philippines)' in 1989. Later translated to Visayan, this book has been widely used in the Philippine countryside where western medicine was unaffordable to most. While Leonard was a volunteer Chinese pharmacologist and acupuncturist at the Acupuncture Therapeutic Research Center in Manila, he met his future wife in one of his patients, Glenda Flores. They were married on June 12, 1990, Philippine Independence Day. They had one daughter, Linnaea Marie (nicknamed Linmei). Leonard named her after Linnaea borealis L. (commonly known as twinflower), a circumpolar plant named by Carolus Linnaeus, father of modern taxonomy who named the genus Linnaea, after himself. Pictorial guide to the tree and shrub flora of the Palanan Forest Dynamics Plot and vicinity, Northern Sierra Madre Natural Park (Co et al. 2003). Palanan forest dynamics plot. In Tropical Forest Diversity and Dynamism: Findings from a large-scale plot network (Co, et al. 2004). Minimum Area for Rapid Estimates of Tree Diversity in a Permanent Plot in Palanan, Isabela, Philippines (Tongco, et al. 2004). Tropical Tree αlpha-diversity: results from a worldwide network of large plots (Condit, et al. 2005). Comparing tropical forest tree size distributions with the predictions of metabolic ecology and equilibrium models (Muller-Landau, et al. 2006). 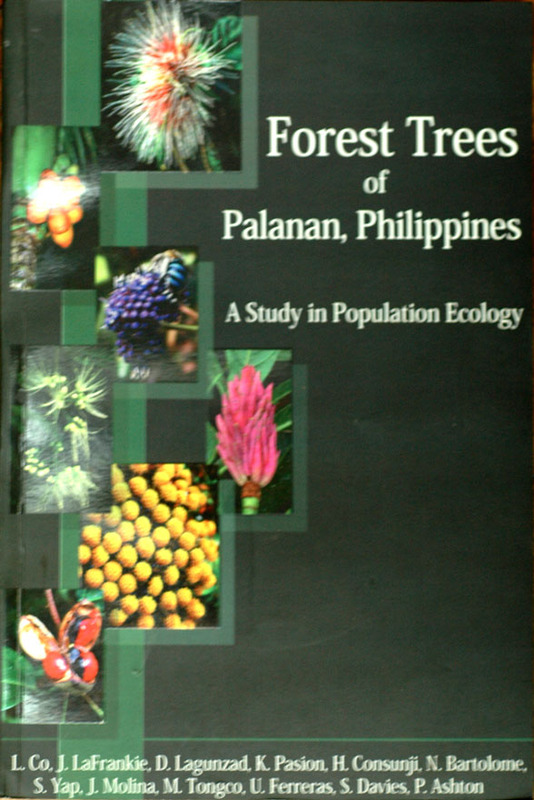 Forest trees of Palanan, Philippines: A study in population ecology (Co et al, 2006). Assessing evidence for a pervasive alteration in tropical tree communities (Chave, et al. 2008). As a taxonomist, Leonard discovered, collected, and named several species of plants new to science including four ferns from Palawan, namely, Acrosorus nudicarpus, Asplenium mantalingahanum, Pronephrium balabacensis, and Sphaerostephanos cartilagidens (Zamora and Co 1986), Xanthostemon fruticosus Peter G. Wilson & Co (1998), Vaccinium oscarlopezianum Co (2002), and Rafflesia aurantia Barcelona, Co & Balete (2009). Rafflesia leonardi Barcelona & Pelser (2008), a beautiful parasitic plant discovered in Luzon's Sierra Madre, was named in his honor. Mycaranthes leonardoi Ferreras and W. Suarez, an orchid species was also named after him with the senior author, Ulysses Ferreras, a Leonard protégé. Lastly, Gomphandra coi (Stemonuraceae) was named after him by an American fullbright scholar, Melanie Schori (Schori 2010), who spent many months in the Philippines. 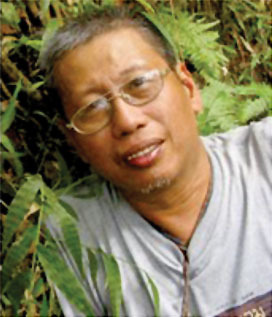 In 2007, Leonard founded the Philippine Native Plants Conservation Society, Inc. (PNPCSI) and became its first president. The PNPCSI mission and vision were a reflection of Leonard's personal advocacy, i.e. the use of native plants in forest restoration and landscaping, student mentorship, and making plant photographs and data available to the public to promote education and nature conservation. As a community outreach, he provided routine plant identification services at the UP-Diliman herbarium for students and the general public free of charge. Leonard also identified plant photographs through e-mail, texting, and Facebook. Leonard was a linguist who had a strong oral and written command of English and Filipino, was fluent in Ilocano and had a fair comprehension of Mandarin and Hokkien. Floras, monographs, and revisions written in Chinese were a substantial part of his botanical library. His gift of the languages deepened his knowledge on Philippine plants, quite unparalleled in his time, allowing him to intricately brade his Chinese traditional medicine heritage with Philippine plants. It also expanded his taxonomic knowledge, thus making him the man of his generation with unsurpassed taxonomic wisdom on Philippine vascular plants. In the summer of 2008, Leonard was conferred a BS Botany degree by the University of the Philippines-Diliman, three and a half decades after his first admission to the state university as a freshman. The economic recession had taken its toll on CI thereby making Leonard and other terrestrial biologists of CI-Philippines redundant. Although opening a restaurant was an option to him to earn a living (Leonard was a great cook, having inherited his father's talent who was a cook as a young immigrant in the Philippines), he loved plants so much that he worked as a part-time lecturer of Plant Taxonomy at UPD in 2009. To join UPD as a permanent worker, he had to pass the Civil Service Examination for Philippine government workers which he did in 2010. He was hired as museum researcher at the Institute of Biology, College of Science, UPD. He was a consultant for the Energy Development Corporation (EDC) associated with its reforestation project on Kananga, Leyte where he met his untimely death at the hands of his supposed protectors, the Philippine Army. His death, together with forest guard Sofronio Cortez and farmer Julius Borromeo, in an alleged crossfire between the 19th. Infantry Battalion team and the New Peoples' Army rebels, was a big loss to his country. While justice surrounding their deaths proves elusive, the country mourns for its most loved botanist, acupuncturist, ethnopharmacologist and professor. Besides being the Filipino people's scientist, Leonard's life was full of color. During his High School days, he was active in the student council. He wrote under the pseudonym 'siling labuyo' (Filipino name for Capsicum annuum) in the student paper. Although far away from his father's native China, Leonard was proud of his heritage, using it to further his knowledge in politics and the sciences. He knew by heart the teachings of Mao Ze Dong, Sun Yat Sen, and Lu Tsun. When in northern Luzon, he constantly listened at night to Chinese radio stations, being made aware of China's political and economic climates at a time when radio was the only medium of getting news from outside the forests. He was a student activist during Marcos' regime and his political beliefs once landed him in prison. He also played harmonica with ease, a musical instrument that was always a part of his fieldwork paraphernalia. Leonard was a very keen observer of things and happenings around him. His photographic memory let him remember pages in botanical literature as well as the numbers of plant families in the Engler and Prantl herbarium classification system, still in use at the Philippine National Herbarium (PNH). He was only in the sixth grade when he learned to draw the map of the 7000+ islands comprising the Philippine archipelago with the major islands and islets rendered in accurate detail. Leonard's attention to detail was extraordinary. Despite all his qualities, he was not good at numbers. He openly admitted that he was one Chinese who could not understand Mathematics, Geometry and Physics and other subjects that required comprehension of numbers. Hence, working in tandem with Dr. Daniel Lagunzad, a UPD ecologist/professor, was very complementary. Leonard collected the specimens and data in the field and Dan performed the statistical analyses and interpretations back at the university. Due to illness, Dan died a couple of days after Leonard, thus neither knew of the other’s demise. Leonard's was a celebration of life, measured not by how many scientific papers he published, grants he obtained, or how much money he earned, but how many lives he touched (or changed) in pursuing his political beliefs and doing his science. He was bigger than himself, being a strong advocate for the betterment of life and the environment. He was an outstanding and internationally acclaimed plant scientist and conservationist with an enormous heart for both the plants and people of the Philippines. His tragic death left us, his colleagues and friends, in shock and disbelief, and a country without its most knowledgeable plant expert. Leonard’s contributions to Philippine botany have been manifold, but his premature death also suddenly left two of his long-term projects unfinished. One of these projects was Leonard’s work on a checklist of the vascular plants of the Philippines. When Leonard started his botanical career, and even today, the only available plant checklist for the Philippines was a publication by the American botanist E.D. Merrill (“An enumeration of Philippine flowering plants”). Merrill’s work, however, is in need of revision having been published in the 1920s. Leonard took this Herculean task upon himself, meticulously updating Merrill’s list, adding species that were not yet known during Merrill’s time, updating the names to be in accord with modern usage, and providing additional details, such as information about distribution and literature references. Leonard freely shared the various drafts of his updated checklist with many of his colleagues and students so that all could benefit from his work. So, even though he was never able to publish a final version of his checklist, it formed the pillar of many botanical studies. The other long-term project of Leonard’s that was left unfinished was his work on a reference collection of plant photographs. Especially in recent years, when he started using a digital camera, he became interested in taking photos of the plants that he studied and he compiled a sizable collection. His plant photos are particularly valuable because he provided them with scientific names and locality information and neatly ordered them in folders on his computer. Just as Leonard shared his checklist, he also generously shared his collection of plant photos. Recognizing the significant scientific merit of Leonard’s checklist and photographs, we made these iconic works available on this website dedicated to his life. In this way, we and others can continue Leonard’s work where he left off, continuing his contributions to Philippine botany and efforts to raise awareness of the importance of biodiversity conservation.